If you dig back into the annals of Winelandia history, you’ll find a few storied visits to Wind Gap – starting at their prior facility in Forestville, and moving with them to their brand new winery and tasting room at The Barlow in Sebastopol. We’ve known about Pax and his incredible winemaking skills for several years, and hope you all seek them out too! We are, it’s true, big fans. 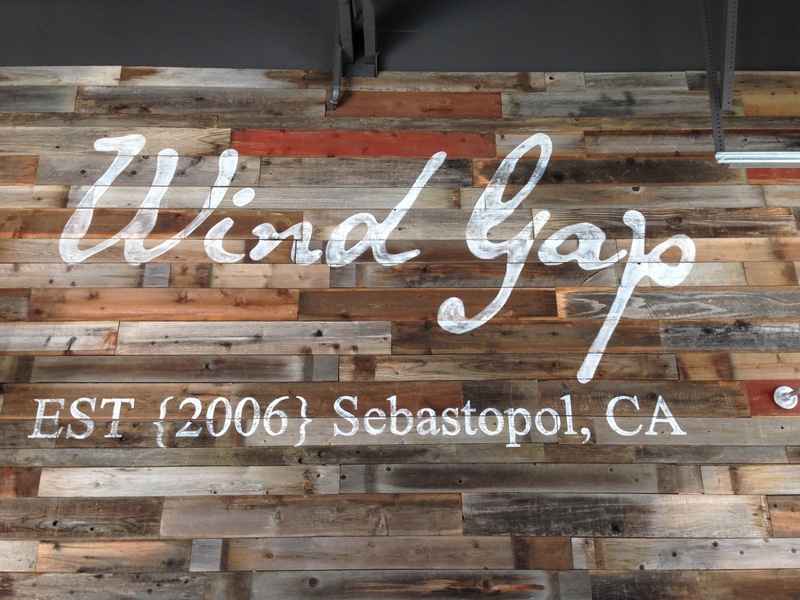 A few Saturdays ago, I went to check out the Wind Gap winery open house, to help them warm it (it was their first big event in the new space), and to try the new spring 2014 wines. Let me tell you, if you get a chance, check out a) the wines and b) the space. It’s a beautiful warehouse facility with high ceilings, metal beams, and concrete floors. Pax and Pam Mahle host this party annually, and it’s easy to attend – just add yourself to the Wind Gap mailing list from their website, and an invitation will come your way next April. I love this party so much, I bring guests every year – and compete with them to see how many oysters we can each finish. With Hog Island oysters, a special featured treat (this year is was pork belly buns), a variety of cheeses and meats, and pouring stations with the new wines for the season – not to mention live music! – it’s truly not to be missed. 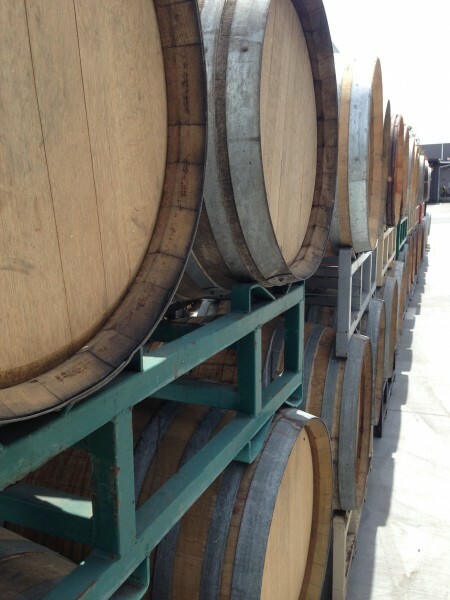 The 2013 Trousseau Gris, which Pax is known for, and deserves a post in its own right. This light, acidic, and lively white wine from a nearly-forgotten varietal and vineyard in Sonoma County goes so well with the oysters Wind Gap serves alongside, I almost can’t imagine a better pairing. Except maybe a patio chair and an 80 degree day. The 2013 Pinot Gris, which is skin fermented – Tala and I are crazy for these wines lately! This Pinot Gris is a deep copper color, with a hint of structure and spice, but it’s so clean and flawless that there’s a world of food pairings with this wine. Try it with mushroom dishes or salmon. I’m drinking it tonight with a “kitchen sink” dish of fregula, quinoa, green garlic, and baby artichokes. It doesn’t get lost in the complexity of flavors, and doesn’t overwhelm either. The 2012 Sceales Vineyard Grenache is whole cluster, which gives it a nice amount of tannin, and some feral qualities. It’s never seen oak, so the flavor is pure Grenache – but this is an intense glass. It’s almost brooding, but not heavy. You can try these wines at their tasting room, which is open Thursday-Sunday from 11am-6pm. Clocking in at just over an hour from San Francisco, it’s easy to get to, and offers plenty of exploration nearby. The Barlow is home to several other wineries, as well as a coffee roaster, distillery, brewery, and more. I encourage you to check it out, walk around, and taste through their portfolio! The wines – and the tasting room – are worth the drive. I’ll tell you a secret – I love a good chicken wing. Love isn’t a strong enough word to describe how I feel about a succulent, crispy, perfectly seasoned wing. So many places get them right, and I’m not ashamed to say I love the wings at Hooters and Buffalo Wild Wings. One problem with those places, however, is the quality of the meat they are using. I’m sure those chickens did not come with their papers – chances are they are mass produced, factory-farmed, miserable little creatures. Winelandia believes in eating locally and sustainably, so we try our best to eat responsibly-farmed meat. Pasture-raised chicken tastes better, is healthier for you, and better for the environment. The other issue is that wings in restaurants are almost always deep-fried. It’s bad enough wings are full of fat – frying them isn’t helping the situation. Leave it to me to try and health up and green-wash a chicken wing party platter. They may not technically fall into the “health foods” category, but they are certainly better than what you get at Hooters. After several attempts at getting these wings just right, I’ve finally found enough success to share the recipe and technique with you. First of all, these wings are baked – not fried. We roast them at a high temperature on a wire rack over a cookie sheet with only salt and pepper on them – no oil. They have enough fat in the skin to baste themselves, and we want to render all of that fat out so they aren’t getting soggy in a pool of their own fat while they cook. The elevated dry-roasting at a high temperature also breaks down the connective tissue so that the meat just falls off the bone, making them easier to eat. We finish them off with a yummy honey-sriracha glaze, adapted from a FoodNetwork.com recipe. If you’ve never heard of Sriracha sauce, it’s a Thai chili-garlic sauce originating from Thailand (but lots of it is produced in California). I cut back on the butter in the glaze and changed up the cooking method, so it’s not quite the same recipe. I left the proportions of honey and sriracha the same, though, because I felt it was already perfectly balanced between spicy and sweet. To pair wine with your chicken wings, look for an off-dry Riesling, off-dry Gewurtztraminer, off-dry Chenin Blanc, or an inexpensive sparkling wine with a little bit of residual sugar. You could also pair an aromatic dry white wine, because the wings have enough sugar on them already to temper the heat. A slightly sweet wine will pair better, but a dry wine would be just fine as well. I paired a delicious Blanc de Blanc Champagne from Jacques Lassaigne, which was totally uncalled for and absolutely perfect. 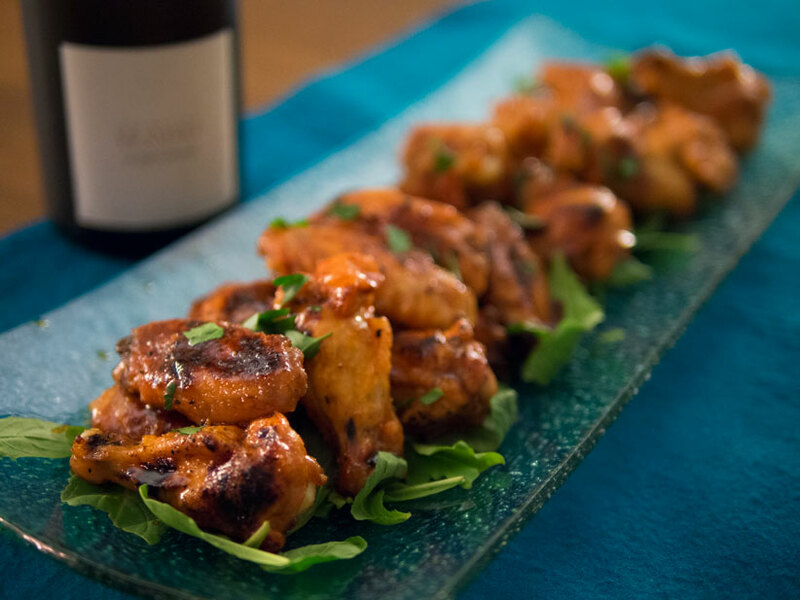 If you want to splurge and enjoy your wings with a bottle of real Champagne, go for it – you won’t regret it. Line the baking sheet with aluminum foil. Spray your wire rack with non-stick cooking spray and set on top of the foil-lined baking sheet. Pat your wings dry, and toss them in a bowl with plenty of salt and pepper. Put the wings on the wire rack and bake at 400F for 40 minutes, turning once halfway through. While the wings are roasting, prepare the sauce. Combine the sriracha, honey, butter, and soy sauce in the pan over medium heat until it starts to bubble. Turn the heat off, add the lime juice, and stir. Set aside. Remove the wings from the oven and toss them in a bowl with half of the sauce. Put them back on the wire rack over the baking sheet and return to the oven for another 10 minutes. Remove the wings from the oven and toss again in the same bowl with the other half of the wing sauce. Garnish with parsley or sliced green onions, and serve with your favorite sparkling or off-dry white wine. The Holiday 6-Pack has already sold out, thanks to everyone who ordered! 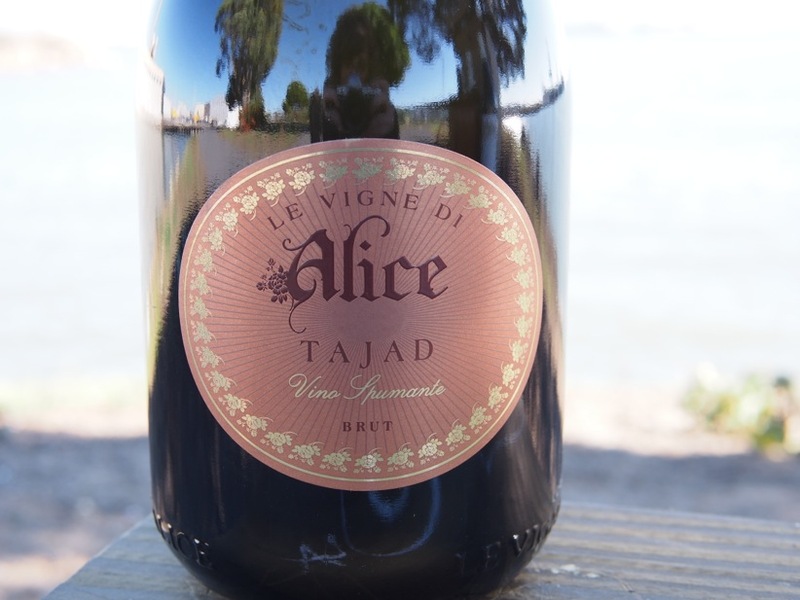 We do have some of the La Vigne di Alice Brut Tajad and the Celler Acustic Red blend available for purchase. We can also re-order any of these wines by the case, so please let us know if you are interested in special-ordering by emailing orders@winelandia.com. Bio: Cinzia and Pier are sisters-in-law who set out in 2004 to produce artisinal Prosecco that is all their own. They started Le Vigne di Alice, an homage to Cinzia’s grandmother Alice who worked in the family’s osteria. The winery is in the northern-most reaches of the Conegliano and Valdobiaddene hills with the Dolomites in their backyard. Their focus is sustainably farming and producing natural, top-notch Prosecco. Production Notes: Produced from sustainably farmed grapes using the Charmat method. This fun and rustic wine is produced as a field blend of three estate-grown indigenous Italian grape varietals – verdisio, glera and boschera. The chalky, rocky, lean soils lend a pure, mineral edge to this brut-dry sparkling wine. Perfect as an aperitif or with a cheese plate, this unusual Italian sparkler is sure to please wine geeks and novices alike. Tasting Notes: Aromas of mineral and fruit; crisp and lean. 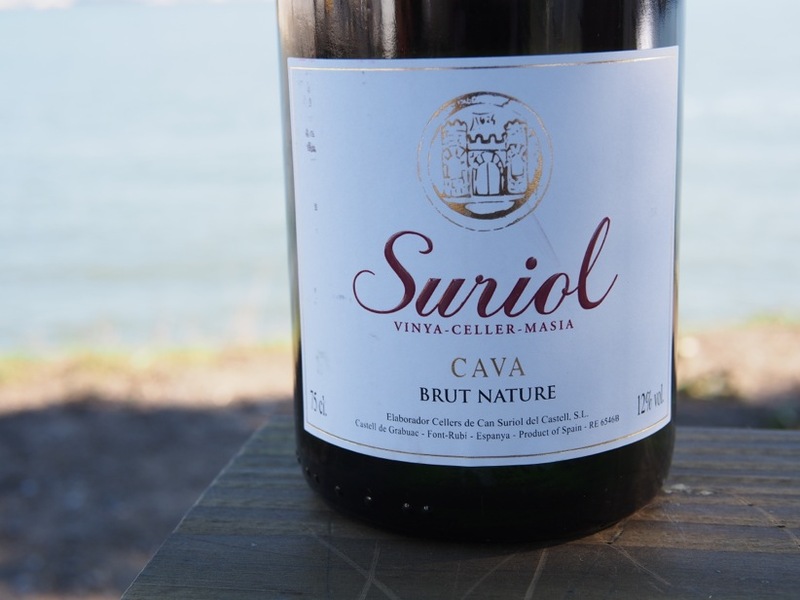 Bio: Cellers de Can Suriol is a family estate devoted to making traditional and ecologically sustainable wines using as little intervention as possible. They have been growing grapes and making wine on the same property located in the Alt Penedés since the 15th century. Vineyard: Certified Organic, calcareous soil vineyards. 25 year old vines. Production Notes: Fermented with indigenous yeasts in a vat, malolactic fermentation in concrete, secondary fermentation in the bottle. This vintage-dated Cava is quite unusual in it’s richness, body, complexity, and seductive character. We love the fine bubbles and beautiful golden color – it would be an excellent wine to pop open on New Year’s Eve to ring in the new year with friends and loved ones. Tasting Notes: Aromas of honey, citrus, flowers, and anise. Medium bodied, mineral, and fruit-filled with a long finish. Bio: François Pinon is a retired child psychologist, making some of the best wines in Vouvray since 1987. He aims to maintain typicity of the region in his wines. Vineyard: Certified Organic, estate-grown. Clay and silica soil on a base of tuffeau (limestone) and silex (flint). Average vine age is 25 years. Vineyards are plowed & hand-harvested, and chemical fertilizers and pesticides are never used. Production Notes: Only certified Organic estate fruit is used in the production of this wine, and the care taken in the vineyard really shines through. Aging occurs in a combination of stainless steel tanks and foudres (old, large-format oak casks) to maintain balance and freshness. Non-Dosé means there was no sugar added during disgorgement, so this wine is very dry. The finished wine is then sterile-filtered instead of heavily dosed with SO2 to provide stability. Tasting Notes: Have you ever had a sparkling Vouvray? It’s like drinking real Champagne without the deep regret of emptying your bank account. Chenin Blanc lends itself to this Loire Valley specialty, producing a nuanced and delicious sparkling wine. Fresh, savory, bubbly, Chenin Blanc goodness. 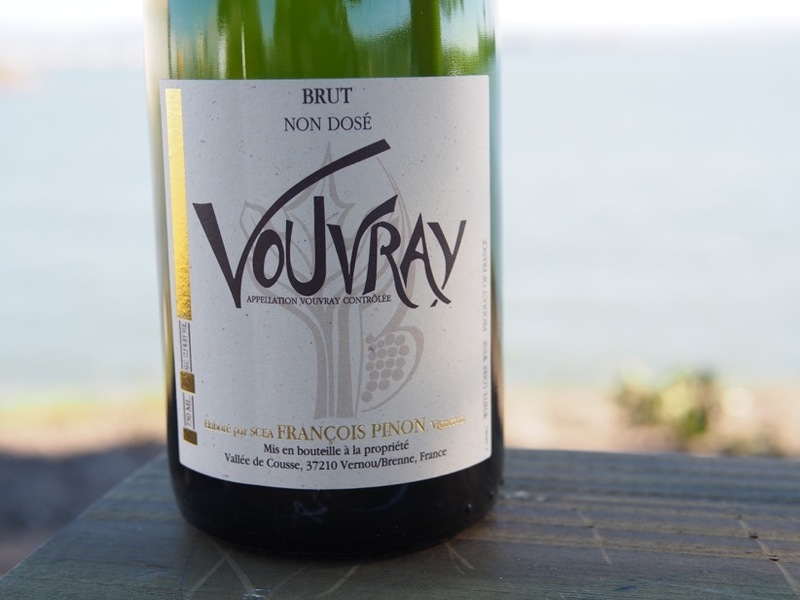 It’s our favorite sparkling wine from Vouvray. Food Pairings: Oysters, shellfish, goat cheese, trout, brunch foods, salads. Bio: Albert Jané, a third-generation winemaker, believes the best wines are made with old winemaking techniques. Vineyard: The organically farmed vineyards (planted in 1932) are located at high elevations, between 1200′ & 2200′. The soil is composed of clay, rock and sand. Production Notes: Hand-harvested grapes are fermented with indigenous yeasts. The wine is racked using gravity into the estate’s 200 year old underground tanks, then is aged in a combination of new and used French oak barrels for 10-12 months. The wine is unfined, unfiltered, and a true expression of Montsant terroir. 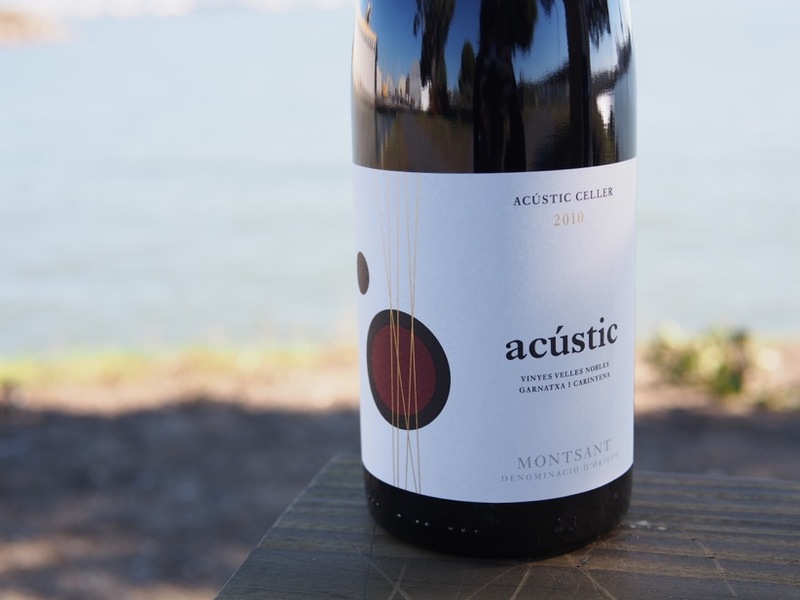 Tasting Notes: Ripe, layered black & red fruits, balanced acidity, supple tannins, and well-integrated oak make this wine perfect for drinking on it’s own or enjoying with food. Food Pairings: Braised beef, stew, roasted game birds, charcuterie, mushroom dishes, or delicious all by itself. Bio: Originally established in 1960, Rémy took over the domain from his father in 1988. He constantly strives to improve upon the quality of his wines by trying new approaches, and expands the vineyards while planting fig and olive trees. Vineyard: Certified Organic vineyards rest at an elevation of 650′-900′ in sandstone and limestone soils. Vines are an average age of 25 years. The higher elevations and geographic location of the vineyard creates a much cooler climate than the surrounding areas. Production Notes: Grapes are hand-harvested, destemmed, and cold-soaked prior to fermentation. 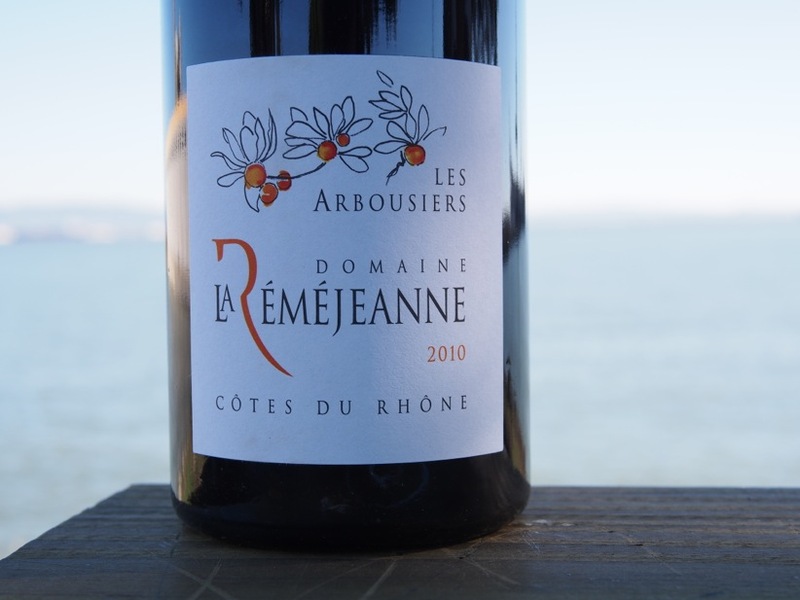 This red wine is from a cooler part of the Southern Rhone, which imparts a freshness and liveliness not usually found in wines from this region. Tasting Notes: This wine has density, concentration, and structure which all interplay to produce a delicious, harmonious red wine. Notes of red fruit, tobacco, licorice, mint and spice. Food Pairings: Roasted chicken, root vegetables, burgers, onion soup, pizza, sausage. Bio: A 4th generation winemaker, Frédrik continues to work with his family to produce wines from various vineyards in Saumur-Champigny. 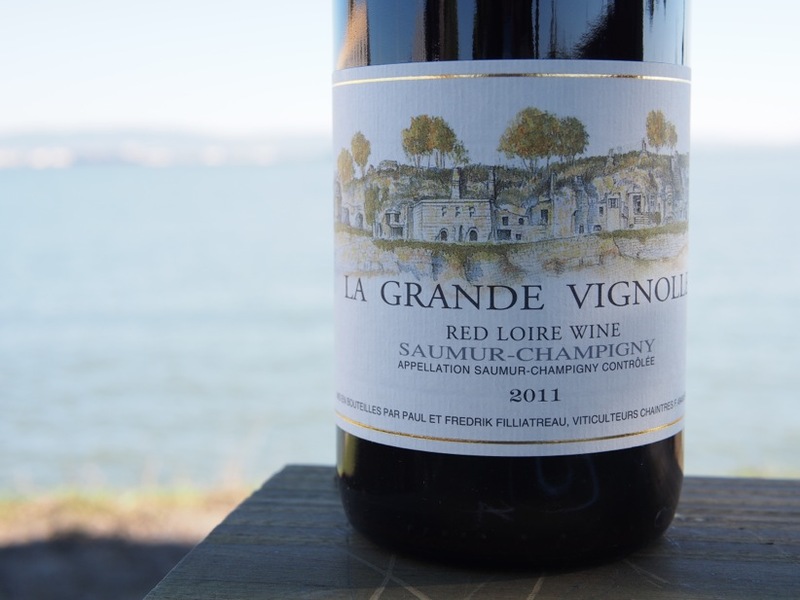 Vineyard: La Grand Vignolle is a well-known vineyard which rests atop a tufa-stone outcrop that runs along the Loire river. The old vines are organically farmed and yields are kept low. Production Notes: The highly calcareous soil lends acidity and juiciness that is often lost in wines from this region. 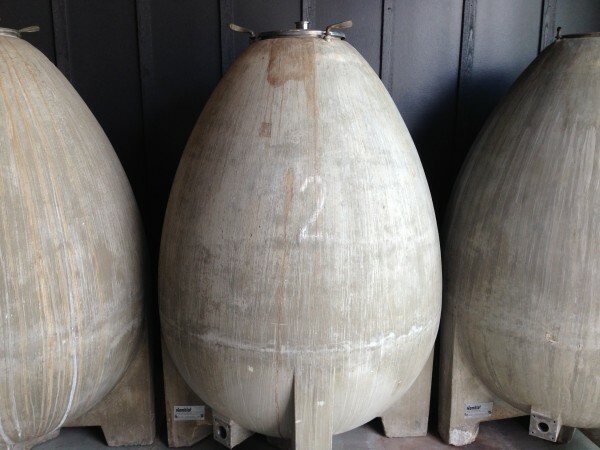 The wine is aged in tanks instead of oak, which adds additional freshness to the wine. The wines of Saumur-Champigny are some of our favorite old-world Cabernet Franc – a genetic parent of the Cabernet Sauvignon grape. While this wine is drinking well now, it would make a great gift for a person who is interested in aging wine. Tasting Notes: Chisled red fruit, tobacco & licorice. Full-bodied and structured with herbal notes which are the hallmark of Cabernet Franc from the Loire Valley. Food Pairings: Aged goat cheese, lamb, duck, vegetable dishes, steak with pepper, eggplant. We have all been there before – you have a nice (or not so nice) bottle of wine, and you want a glass. Just a glass! (Ok, maybe two). You don’t have anybody to share it with, and you don’t want to get incredibly crunk on a weeknight because you have to work/exercise/be productive tomorrow. Believe me, I know how you feel. The good news is you can still have a glass, and if you decide to have another one tomorrow, it just might be better than the first! The truth is, a lot of wines will be fine – if not better – the following day. This mostly applies to red wine, but can also apply to white. You see, wine begins to oxidize quickly after the bottle is opened and the contents are exposed to air. The rate at which it oxidizes will vary from bottle to bottle. This depends largely on how well the wine is made, the amount of Sulphur Dioxide (a chemical preservative used in most wine and many foods) added before bottling, and various other nebulous & hard to quantify factors. It’s hard to guess which wines will be just fine for several days vs. one that will be terrible the next day, so I wouldn’t worry about it too much and just get to opening your wine. A general rule of thumb is that red wines take longer to oxidize than whites. The tannins in a red wine act as a natural anti-oxidant, so they are sturdier than whites. I’ve opened red wines and left them out for up to 5 days and gone back to them, only to find that I liked them better than when I originally opened the bottle. You could do the same with a white wine, and it will lose it’s freshness and vibrancy much more quickly than a red. Still, you can leave a white open for 2 days and have it still be totally drinkable. Here’s what you do: If you open a bottle of red, replace the cork ASAP and leave it in a cool, dark spot until you are ready to finish it. I recommend drinking it the next day or two days later, but if it’s a sturdy wine it could be fine (or improve!) for as many as 4. If you are not planning on drinking it the next day, put it in the fridge. This keeps it fresher, longer. Just take it out a couple of hours before you want to drink it. If you open a bottle of white wine, replace the cork ASAP and stick it right back into the fridge. Leave it there for up to 2 days. Whatever you don’t drink, use to cook with. I wouldn’t cook with a wine that had been open for longer than a week or two. As they say, don’t cook with a wine you wouldn’t drink. There are various products on the market that claim to help extend the length of time you can leave your bottle open, and we will go over those (and their effectiveness) here. 1. Vacuum-pump stoppers, like this one. Notice that the “Sauvignon Blanc” in the photo is brown, which is the color yours will turn if you use this product. The claim is that the vacuum pump thingy “removes” the oxygen from the bottle, creating a vacuum. The problem with this is there is no such thing as a true vacuum here on earth. While I am sure it removes some of the oxygen/air, it doesn’t remove enough to prevent the wine from going south. When my husband and I first started dating, he bought me one of these because he knew I loved wine. I used it often, and much to my dismay, it didn’t seem to do much preserving. I’m sure whatever “preservation” I noticed was psychosomatic, and I probably told him it worked great because I didn’t want to hurt his feelings. The only good thing about this product is the stoppers it comes with, which I still use to this day as replacement corks for half-consumed bottles of wine. They are fairly air-tight. If you get one of these as a gift, throw out the vacuum thing and keep the stoppers. 2. Cans of “inert” gasses, such as this one. These resemble “cans of air” that you use for dusting, however the contents are much more specific. Generally, they contain a blend of gasses – argon, CO2 and nitrogen. Winemakers often keep tanks of pure argon around to “top off” their barrels with when they are doing barrel samples (this is done to remove the O2 in the headspace in the barrel). Argon is inert; it won’t absorb into the wine, it’s flavorless, and it’s heavier than air. This is perfect for wine-making and wine-preserving because you can just spray it onto the surface of the wine. Since it’s heavier than air, it will protect the wine from oxidation indefinitely as long as the argon doesn’t leak out due to a faulty closure. The thing that confuses me about most commercial “wine-saver” is that it contains CO2, which is NOT inert, and DOES get absorbed into the wine. I only assume they blend the argon with CO2 and nitrogen because they are cheaper to produce and work just fine for short periods of time. Anyhow, if you can find wine-saver that is pure argon, that’s your best bet. It works great, and for around $8 a can, it’s worth trying. 3. Coravin wine preservation system. While I have never used this product, it was received with much fanfare as it entered the commercial market several months ago. It’s a pretty expensive device (around $300) that uses a needle of sorts to puncture an in-place wine bottle cork, and remove a glass of wine while replacing the liquid removed with argon gas. Basically, you can pour wine from a bottle without taking the cork out or exposing the contents to air. Unfortunately, the system and replacement cartridges are so expensive, it only makes sense to buy one of these if you a) use hundred dollar bills in place of toilet paper or b) own a wine shop/bar/restaurant which pours extremely expensive wines by the glass. Apparently there have been trials where trained Sommeliers couldn’t tell the wine had been “open” for several months. Get one of these if you are rich, I wish I could justify buying one. My point is, don’t hesitate to open a bottle of wine if you don’t intend on finishing it in one go. It will probably be fine for a day or longer, and it might just get better. Nice wines will definitely perform better than cheaply made ones, so keep that in mind when choosing which wines to leave out. I’ve only been to a few trade tastings before, and I’m definitely still not used to it. Walking into a giant hall literally filled with table after table, row after row, of wine after wine, is intimidating and overwhelming. 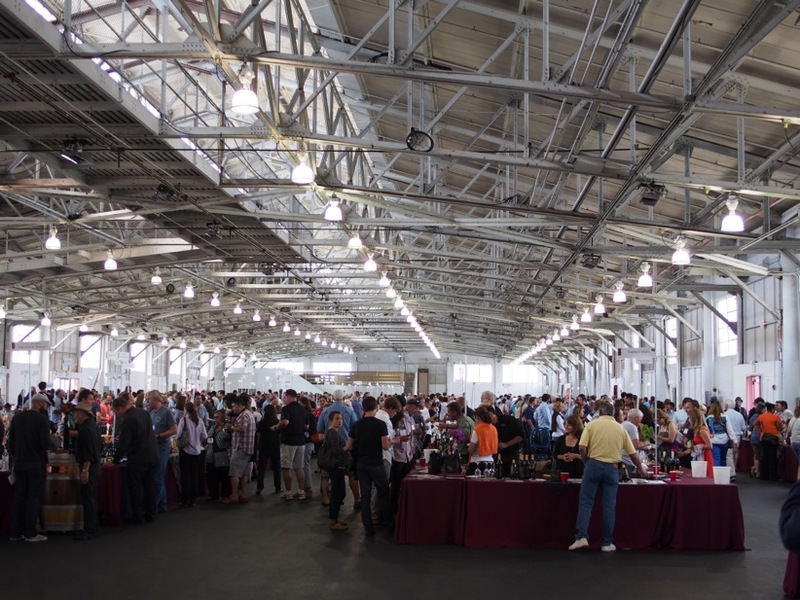 Tala and I did research before this year’s Family Winemakers of California tasting, which was held at Fort Mason. 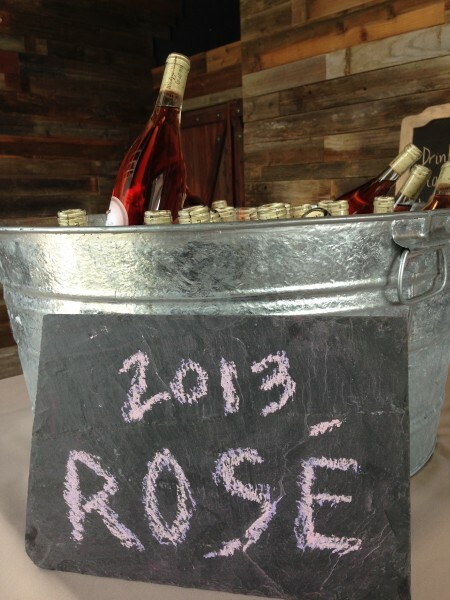 We reviewed the list (220 participating wineries! ), and removed the places we knew we didn’t want to check out. In developing our offering for Winelandia, we specifically focused on small producers – say 2500 cases or less, as natural production as possible, and really good value in the $15-$30 price range. We’re looking for wines that no one is afraid to open on a Tuesday night, wines that aren’t intimidating or overbearing, and that pair well with food. This was a great opportunity to for us to meet a lot of winemakers, hone our preferences, and review a wide range of styles and varietals. But still! Even though we got our list down to, say, 100 wineries, we knew we’d never make it through. I think, at the end of the 3 hours we spent there, we probably tried around 100 wines from 15 or so wineries. And yes, we spit almost all of it out – which is something I’m still getting used to, for sure. In the expanse of wines that we saw, smelled, tasted, and noted, here are three standouts that really made us happy. This wine, from the Sierra Foothills, was floral, light, and energetic. The nose was so aromatic and pleasant, and the taste had the right balance of acid and freshness. Coming in around 12% alcohol makes it a great sipping wine. This Torrontes has everything I know Tala loves about the nose on a Viognier, but it’s also got great taste and acidity that Viognier often lacks. Perfect to drink with spicy food or light appetizers. We definitely plan to check this place out as soon as we can get out to Murphys, CA. Kaena makes A LOT of Grenache, which was a pleasant surprise to me. 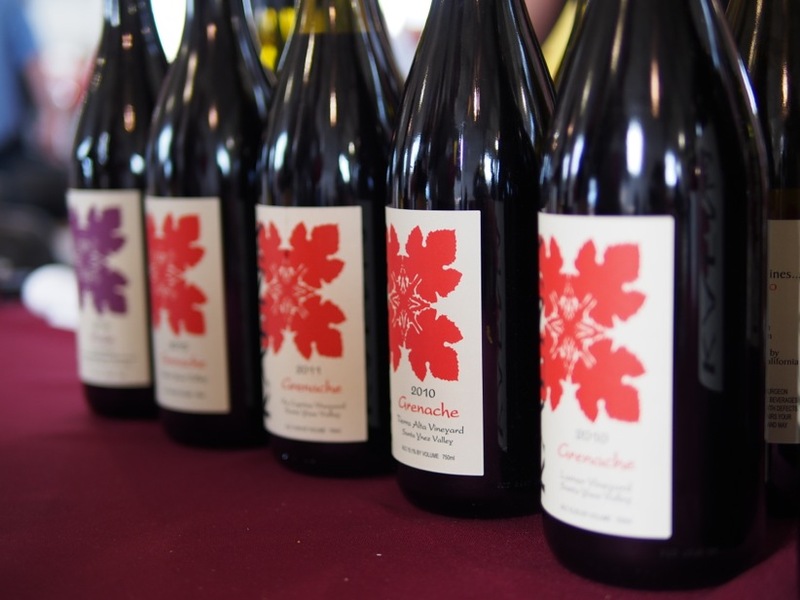 I love the lighter bodied, livelier red grapes like Grenache, and it was a treat to taste so many side-by-side. They also had a couple of GSM (Grenache, Syrah, Mourvedre) blends to try as well. Our pick was the Via Caprice Grenache, from the Central Coast. Aged in neutral oak, this was the lightest Grenache they had on offer, with loads of acid and great tart cherry flavor. Surprisingly it was over 14% in alcohol, but didn’t drink that way at all. It’s a super food-friendly wine, but would be great by itself too. It’s no secret that Tala and I love Russian River Pinot Noir. We’ve had enough that we’re picky about it, though. We’ve been to a lot of wineries, tasted a lot of RR Pinots, and don’t like a lot of what happens there. This wine, though, we loved. It’s everything I want from a Pinot – a bit of cola, some nice earthy and mushroomy flavors, and medium body. A Pinot should be versatile and flexible – ready to pair with food or drink alone, and this Pinot is it. 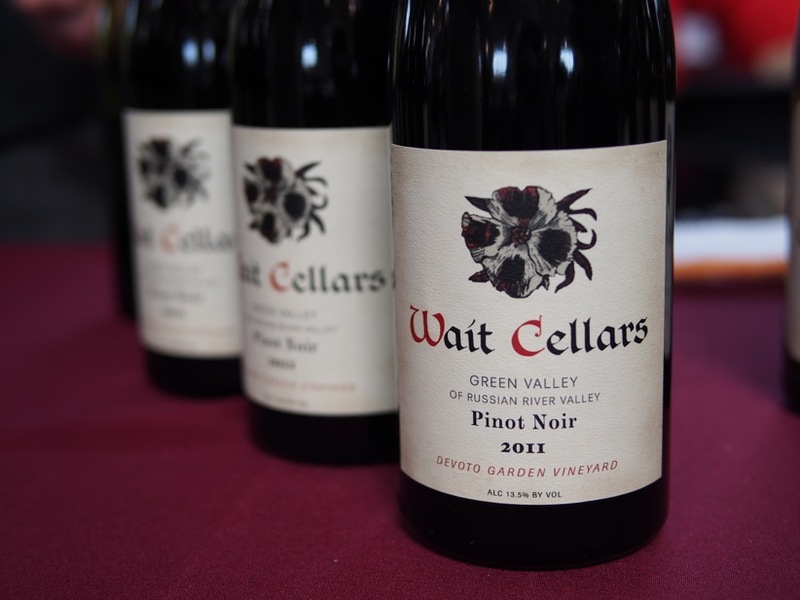 All the Wait Cellars wines were great, but this was a standout. There were a few others that we loved, and still more that we liked. All in all, it was a great opportunity to check out a TON of California wine – a lot that we haven’t previously had access to. 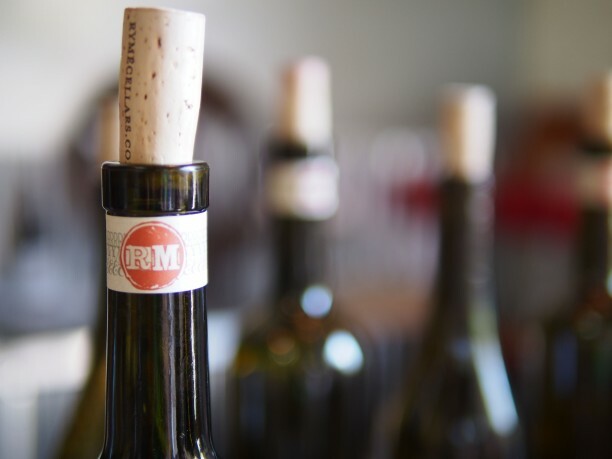 Who are your favorite small California winemakers? Let us know! Follow us for information on exciting new trends in California wine-making, wine-maker interviews, wine & food pairing suggestions, recipes and more!